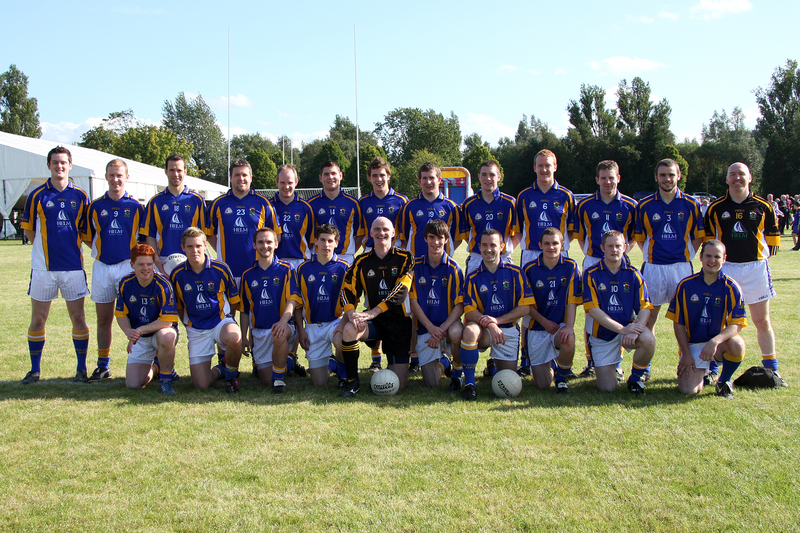 In 2003, an advertisement from Belfast City Council appeared in the Belfast Telegraph, inviting local clubs and organisations to apply for the facilities management of a number of sites, including Musgrave Park. 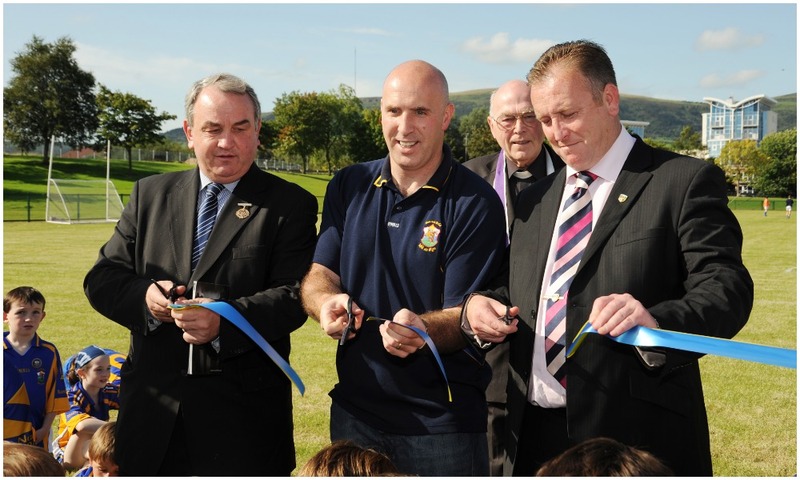 Five years, almost £500,000 and a huge amount of behind-the-scenes work later, St Brigid’s GAC celebrated its tenth anniversary by cutting the tape on its new pitches at Musgrave Park. After an 800-strong gala dinner in a marquee beside the facility on the Friday evening, the blessing of the pitches (by Monsignor Ambrose Macauley) and cutting of the tape (see photograph above) took place on Saturday 20th September. Apart from the opening of the facility, the main event of the day was a star-studded challenge game, refereed by Pat McEnaney. 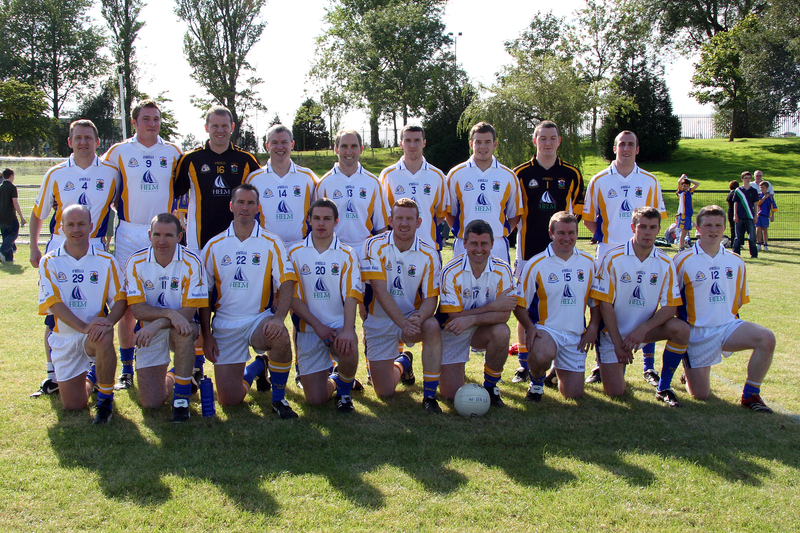 James Loughrey captained the ‘All Star’ team – featuring names such as Peter Canavan, Anthony Tohill, James McCartan and Ross Carr – who took on a (mostly) ‘St Brigid’s select’ led by one of our own club heroes, former Derry goalkeeper John Mackle.